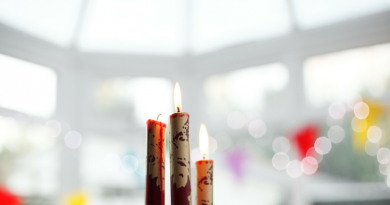 Welcome to Day 6 of the Adjustable Shawls series! 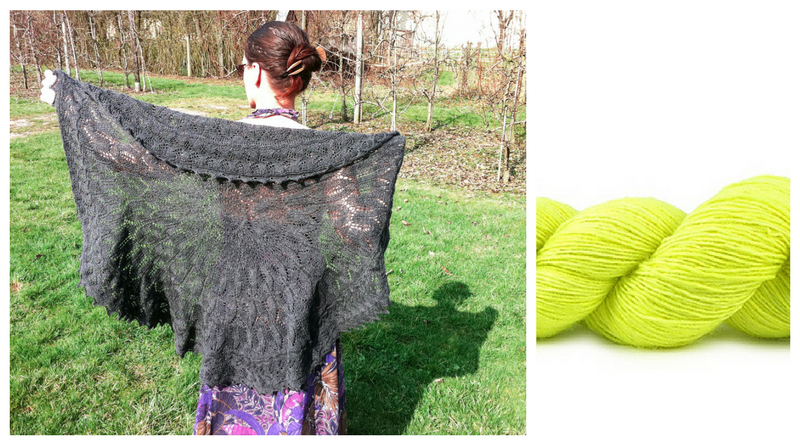 Today, we’re talking about adjustable circle shawls. 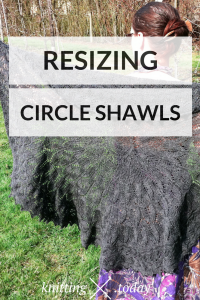 What makes circle shawls adjustable, and how does resizing circle shawls work? There is a lot of information about circular shawls available in my Shawl Design For Everybody series here on knitting.today (and in my book series Shawl Design in Plain English, too). in the shawl design online series before proceeding. Circular shawls using only one stitch pattern are adjustable by default. Make sure you use your kitchen scale as outlined in the post Your Most Important Tool when your yarn supply is limited. The post mentioned in the previous paragraph does not unveil the secrets of calculations when it comes to circles. How to calculate how many increase rounds, or how many sections between the increases can be worked? So let’s assume you started with three stitches and have completed your first three sections (two increase rounds – the first section, the center of the circle, doesn’t have an increase round). The number of rows to be worked between each increase row is doubled. We started with three rows. Bonus exercise: How many stitches are on our needles after finishing the third section? How many rows have been worked in total? makes a total of 12 stitches and 21 rows. Measure your circle at this point – we need it’s radius: measure it from the center point in a straight line to the edge with the live stitches on the needle. This is our row gauge, basically. Let’s say we achieve a row gauge of 6 rows per inch: our circle radius is now 3.5 inches, our circle has an area of 38.5 square inches. Our example skein had 100 g before we started and weighs 90 g now. This makes 38.5 square inches (sqi) per 10 grams – 3.85 sqi per gram. Got the idea? The next section would take another 24 rows, increasing the circle according to your row gauge. How many inches are this? A (bigger circle) – A (smaller circle) = 7.5^2 * Pi – 3.5^2 * Pi = 177 sqi – 38.5 sqi = 138 sqi. Weigh your skein again – the example skein has 75 grams now. The question is: can another section be worked with the yarn left over? The next section would be an additional 48 rows – 8 inches more, resulting in a total radius of 15.5 in, an area of 755 sqi. The additional area would be 755 – 177 = 578 sqi. We can work 3.85 sqi per gram. Is our 75g left over yarn enough? 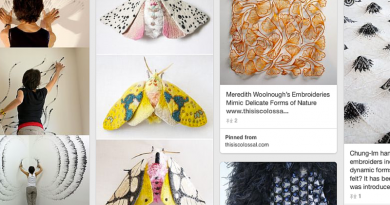 For alignment of pattern modules in circular shawls the same principles as outlined in the post on the math of adjustable shawls – What Makes Shawls Adjustable? – apply here, too. The most important difference is the presence of increase rounds in circular shawls. Outline of pattern module placement in circular shawls. My personal advice: try to align your pattern modules with the increase rounds. Place your increase rounds between pattern module blocks. So if your first block’s stitch count is a multiple of 5, and one increase round is worked between the first and the second block, your second block has to have a stitch count being a multiple of 10 to work. Why? Because increase rounds in circular shawls double the stitch count.